This utility facilitates fast, effective upload of your P30 return to ROS. In order to use this facility, your company must first be registered to use the Revenue Online Service. the total PRSI contributions (the amount deducted from pay plus the amount payable by the employer) and should be remitted to the Collector General within 14 days from the end of the income tax month during which the deductions were made. For employers who file their returns and associated tax payments via ROS, time limits are extended to the 23rd of the month immediately following the income tax month during which the deductions were made. Select the relevant month/ quarter for your return period. Select a location to save your ROS P30 file to and click Save. A prompt will appear to confirm that the file has been successfully created. Click Close. Your P30 file is now ready for upload through your ROS utility. 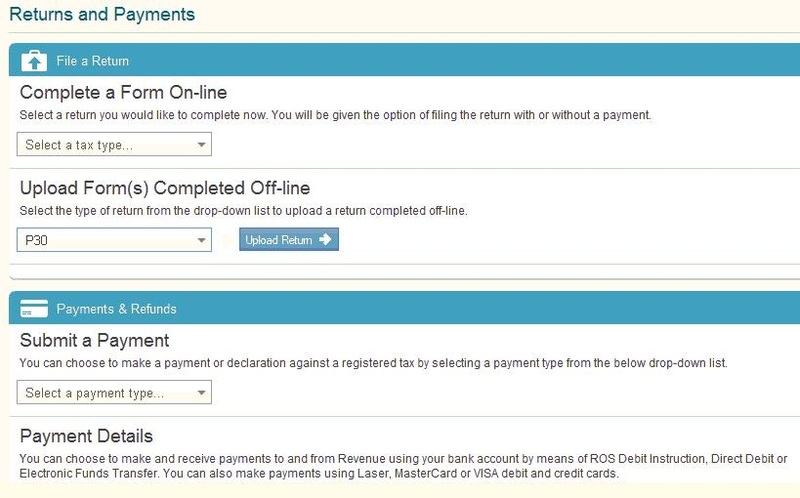 To access your ROS utility, go to www.revenue.ie > ROS Login. An acknowledgement of your P30 return will be sent to your ROS Inbox.